how to set bounds for the x-axis in one figure containing multiple matplotlib histograms and create just one column of graphs? I am struggling to set xlim for each histogram and create 1 column of graphs so the x-axis ticks are aligned. 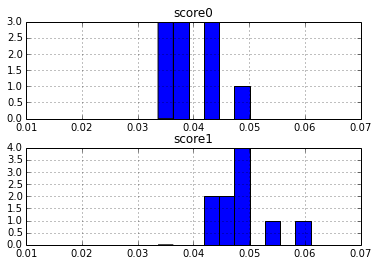 Being new pandas, I am unsure of how to apply answer applies: Overlaying multiple histograms using pandas. 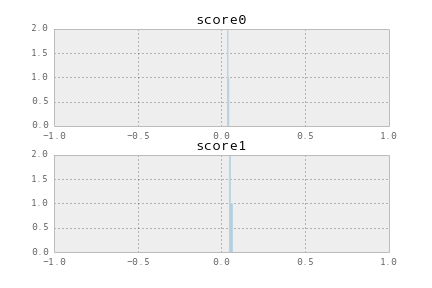 The result sets only one of the bounds on the x-axis to be [-1,1]. I'm very familiar ggplot in R and just trying out pandas/matplotlib in python. I'm open to suggestions for better plotting ideas. Any help would be greatly appreciated. Getting closer with the use of layout, but the width of bins does not equal the interval length divided by bin count. In the example below, I set bins=10. 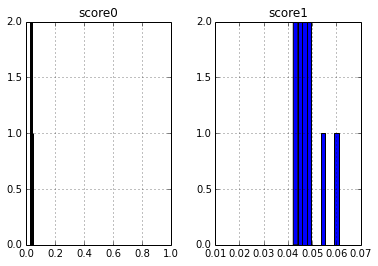 Hence, the width of each bin over the interval from [-1,1] should be 2/10=0.20; however, the graph does not have any bins with a width of 0.20. What you are doing, by plt.xlim, changes the limit of the current working axis only. 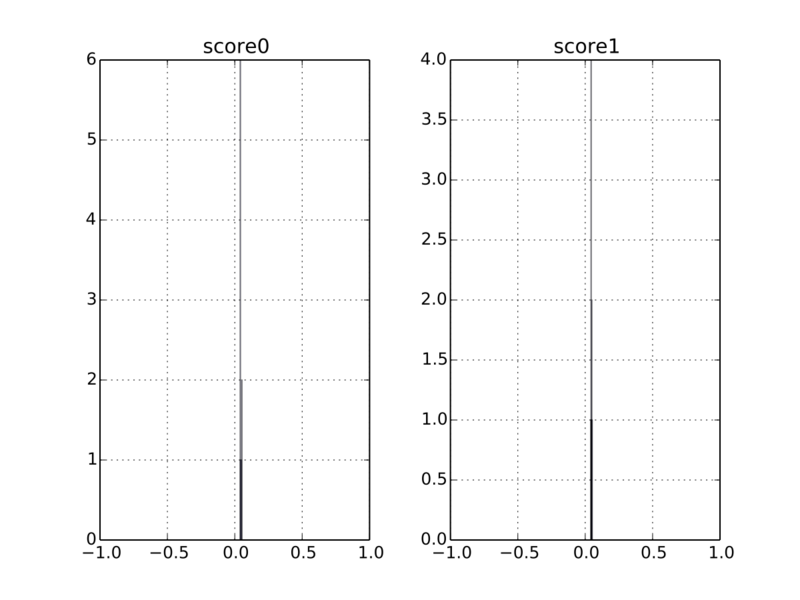 In this case, it is the second plot which is the most recently generated. To make the plots into 2 rows 1 column, use layout argument. To make the bin edges aligns, use bins argument. Set the x limit to (-1, 1) is probably not a good idea, you numbers are all smallish. Not the answer you're looking for? Browse other questions tagged python matplotlib pandas histogram or ask your own question. 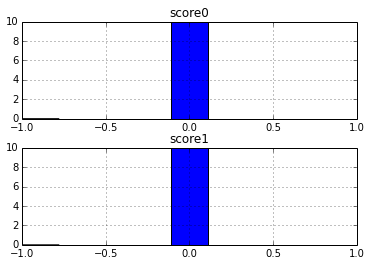 Matplotlib: how to set the current figure? 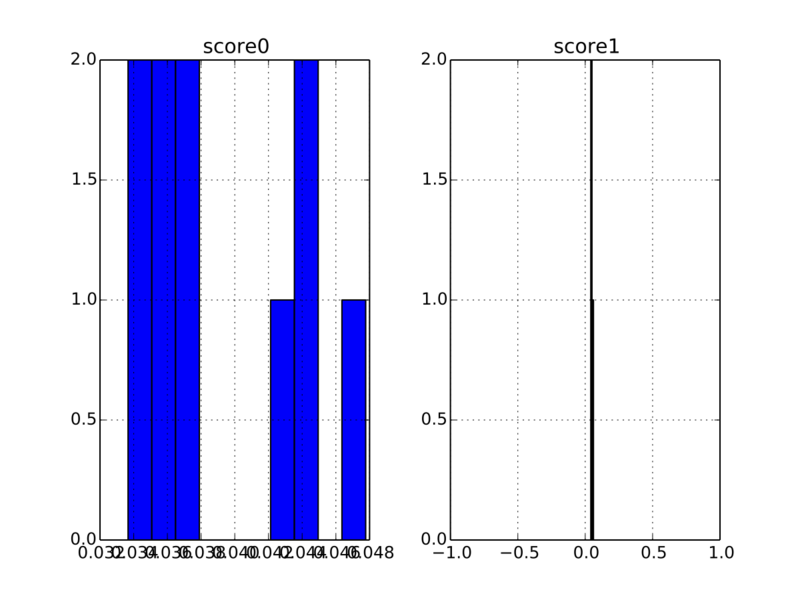 How to create multiple histograms on separate graphs with matplotlib?